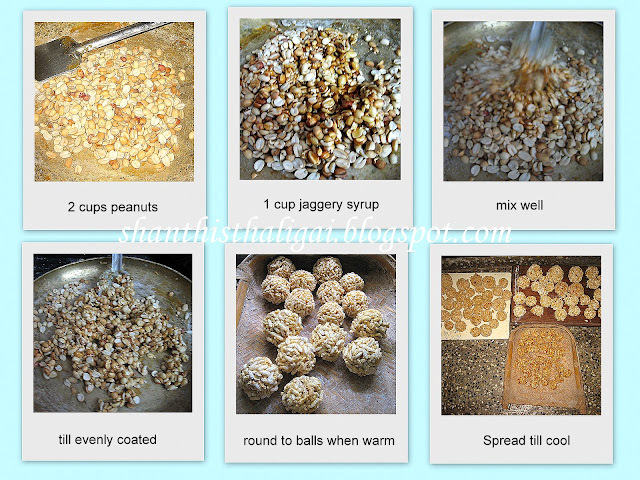 For all karthigai recipes click on the captions of the pictures towards the end of this post. 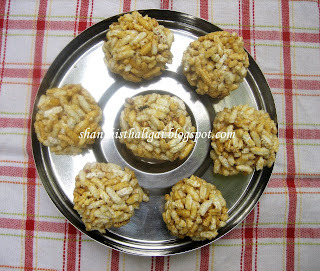 In Tamil Nadu, Karthigai deepam or Karthigai pandigai is celebrated for three days. 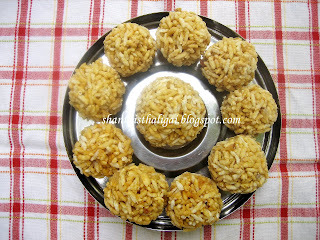 It is celebrated on the full moon day of the Karthigai month, which coincides with Krithikai star. It is a festival of lamps. Crackers and fireworks are burnt at home. Bonfires are lit in front of the temples. 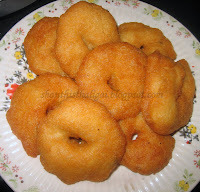 In addition to the general pandigai menu, the offerings to the Deepam are Nel pori urundai, Aval pori urundai, kadalai urundai, vadai & appam. The consistency for the sugar syrup is soft ball consistency. Earthen lamps, Copper and brass lamps, pure silver lamps. Buy earthen lamps atleast 2 days before, immerse in water overnight. Drain and allow it to dry completely. Wash the lamps and when dry, keep chandanam and kumkum for the lamps. Wick the lamps. Put a kolam in the frontyard. Wear nine yards saree. 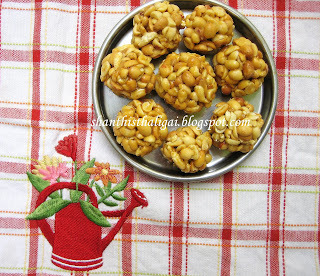 Arrange the naivedyams alongwith thamboolam. Oil and light the lamps. Offer the naivedyams to Deepalakshmi alongwith karpoora arathi. 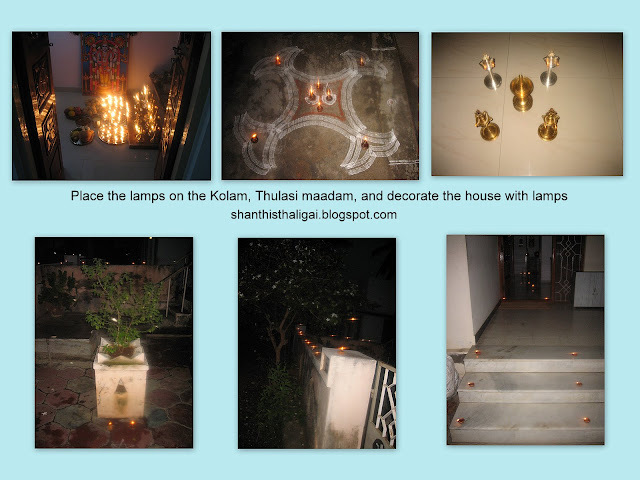 Place the oil lamps on the kolam, thulasi maadam, and decorate the house with lamps. Arrange the oil lamps near doors, windows, balconies, compound walls and also on the parapet walls of the open terrace. Celebrate for three days like this. 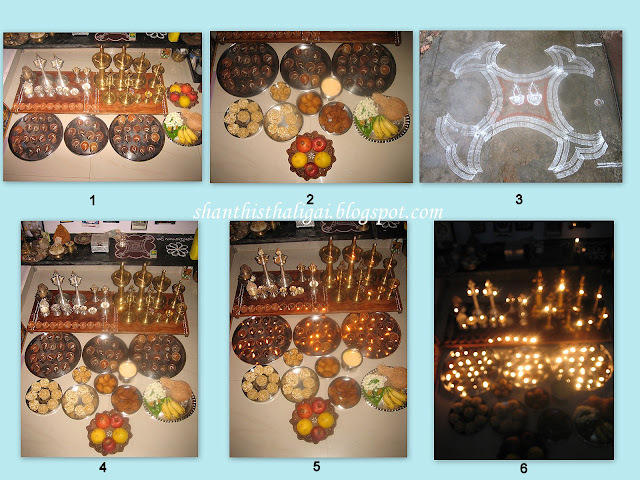 The third day is called "Kuppai karthigai" and oil lamps are lit also in the backyard, sideyard, toilets and bathrooms. Very delicious and yummy recipes. 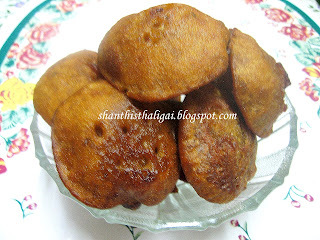 இனிய கார்த்திகை தீபத் திருநாள் நல்வாழ்த்துகள். 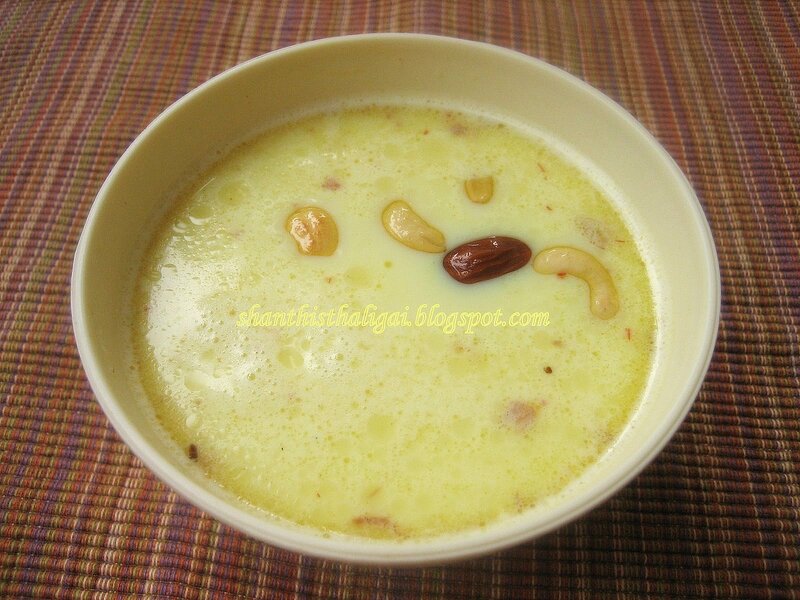 Can you please post the recipe of manahoram (thaenkuzhal in vella paagu urundai)?